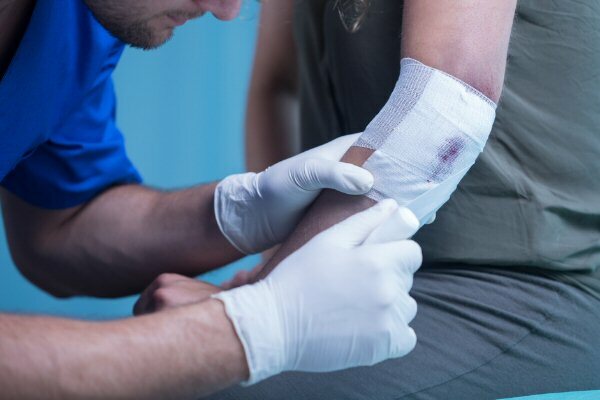 Wound Care Documentation in Home Health | Acucare Health Strategies, Inc.
20% of the cases were documentation requests related to wounds indicating a scope for education on understanding and documenting wounds and skin tear. RNs were documenting thoroughly, and the OASIS conference was a great summary of patient’s condition and care being provided. However we found a disconnect between terminologies that the RNs were using to define wounds and how wounds are categorized for coding purposes. Example #1: RN describes wound as “trauma wound.” Trauma wounds (caused by accident or violence) are divided into two categories for coding purposes: Open wounds (e.g. lacerations, cuts, punctures, etc.) and superficial injuries (e.g. skin tears, abrasions, etc.). Open wounds carry a high case mix status and superficial injuries do not; so there is a great potential for financial and coding error with trauma wounds. There are also instances where a skin tear can be coded as the higher case mix open wound based on certain factors. When coders know the exact type of trauma wound and how it occurred, the appropriate code may be selected. Example #2: RN describes wound as “non-healing surgical wound.” Per OASIS/ WOCN OASIS wound item guidance—Response 3—Non healing—Can be selected when wound has >or= 25% avascular tissue OR signs and symptoms of infection, OR clean but non granulated wound bed, OR closed/hyperkeratotic wound edges, OR persistent failure to improve despite appropriate comprehensive wound management. This is an area for potential confusion because the OASIS asks the healing status of surgical wounds and one answer is “non-healing.” Medicare does not want coders to jump to conclusions based on how an RN answers that question on the OASIS and assign this surgical complication code in error. Wounds are often a source of confusion for both clinicians and coders. Based on the observations and with the intent of creating an educational symbiosis and learning curve, Acucare created a summary of the different types of wounds seen in Home Health which you may find beneficial to share with your clinical staff.